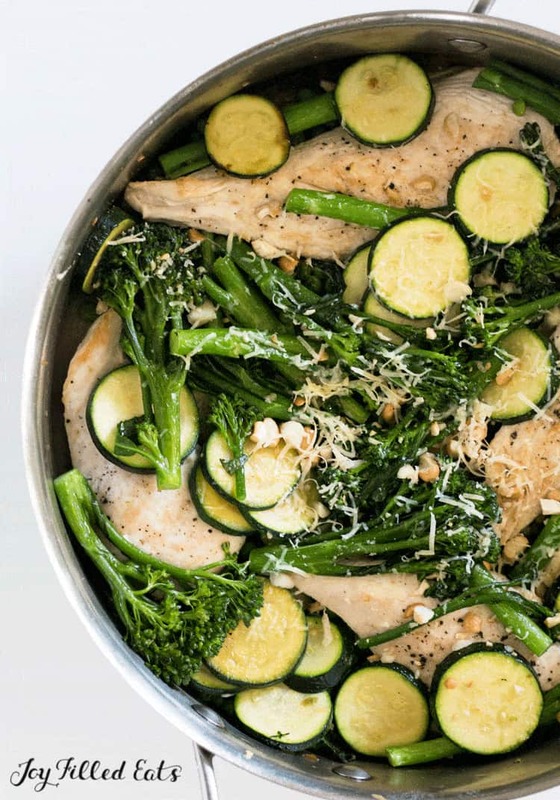 This quick and easy Garlic Chicken One Pot with Veggies comes together in just one pot. Although simple, this meal really packs a flavor punch and also packs well as lunch the next day. Hi, Donna from Whole Food Bellies here with a quick and easy Parmesan Garlic Chicken One Pot dish which, although simple, packs a real flavor punch making it something the whole family can get behind. 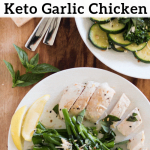 This garlic chicken one pot dish has everything going for it: low carb, high taste, lots of protein, and cheese…you have to have the cheese. Plus it all comes together in just 15 minutes in one saucepan. I say all that combines to make this a pretty perfect meal during a busy week. Here in Australia, we can get a schnitzel cut of chicken, and this is what I use to make this meal quick and easy to cook with no chance of dry overcooked chicken, because who wants that? I don’t recall ever seeing that particular cut in the US so instead, we are going to butterfly a whole chicken breast. Don’t worry, this is easy. You basically just cut the breast down the middle to make two thin strips of the breast. See the photo below and recipe notes for some guidance. What Other Vegetables Can We Use in a Chicken One Pot Meal? 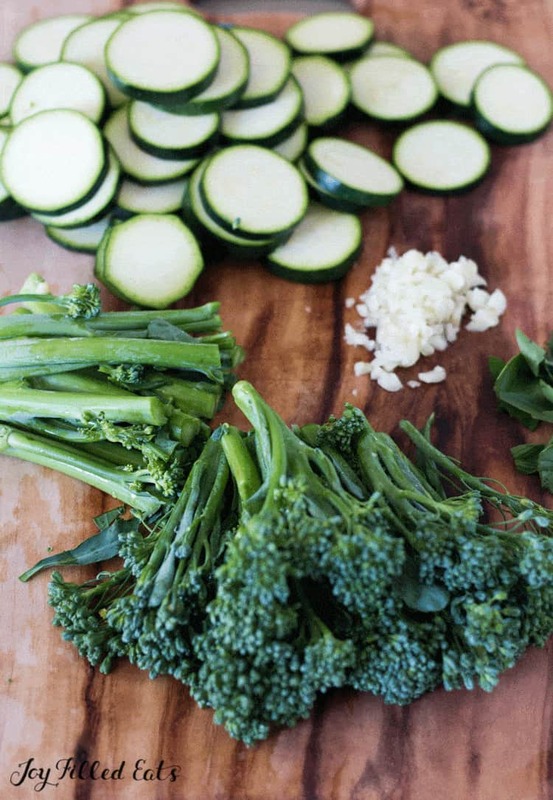 whatever other vegetables you have on hand that will cook up well with a quick sauté in the saucepan. In terms of the seasoning, we keep it pretty simple. Lots of garlic and a good sprinkle of parmesan cheese and fresh basil once everything is cooked work just perfectly. Plus most people have these ingredients on hand on a daily basis, making this garlic butter chicken and veg dish a great choice for a last minute meal. I love to sprinkle a handful of chopped nuts on top as well for a little bit of crunch. Looking for more one-pot inspiration? My Instant Pot Turkey and Sweet Potato Chilli is not only a reader favorite but is also lightened up and boasts some robust flavors. It comes together in one pot in the pressure cooker and is ready to serve in just 30 minutes. Likewise, this Slow Cooker Garlicky Herbed Cauliflower Mash comes together all in the slow cooker and acts as a great side to meals like this garlic butter chicken and veg, if like me you feel the need for some pseudo-carbs on occasion. This Skillet Chicken Cordon Bleu has all the flavors of the classic in just one pot. Stir in some cauliflower for a cheesy one dish meal! 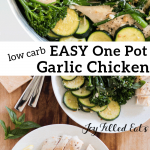 This quick & easy Garlic Chicken One Pot with Veggies comes together in just one pot. This meal really packs a flavor punch and leftovers are just as good! 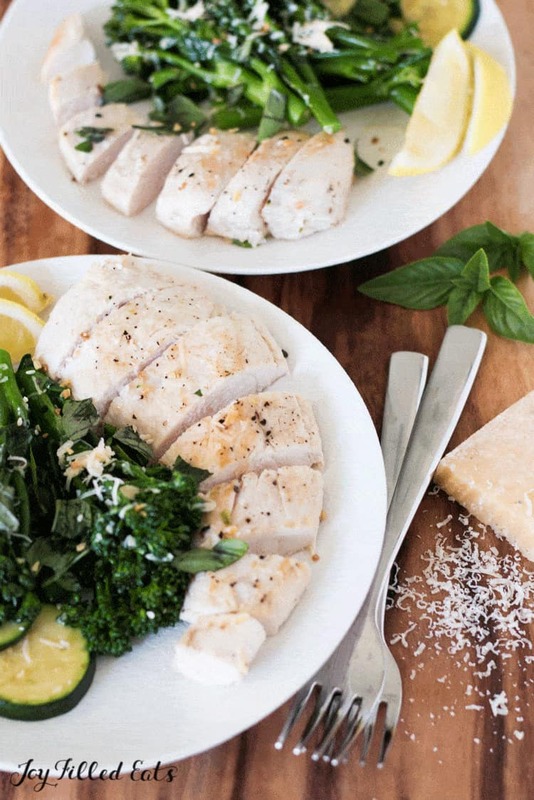 Season the butterflied chicken breasts well on both sides with salt and pepper. Melt 2 tbsp of butter in a large heavy-based frying pan over medium heat. Add the chicken and cook for about 2-3 minutes on each side, until golden. Remove from the saucepan, transfer to a plate and cover to keep warm. Place the rest of the butter in the same saucepan and melt. Add the garlic and cook for about 30 seconds, stirring constantly, until fragrant. Add in the broccolini and zucchini and cook for about 3 minutes until tender but still crispy. Return the chicken to the pan and heat everything through. Butterflying a chicken breast is easy. 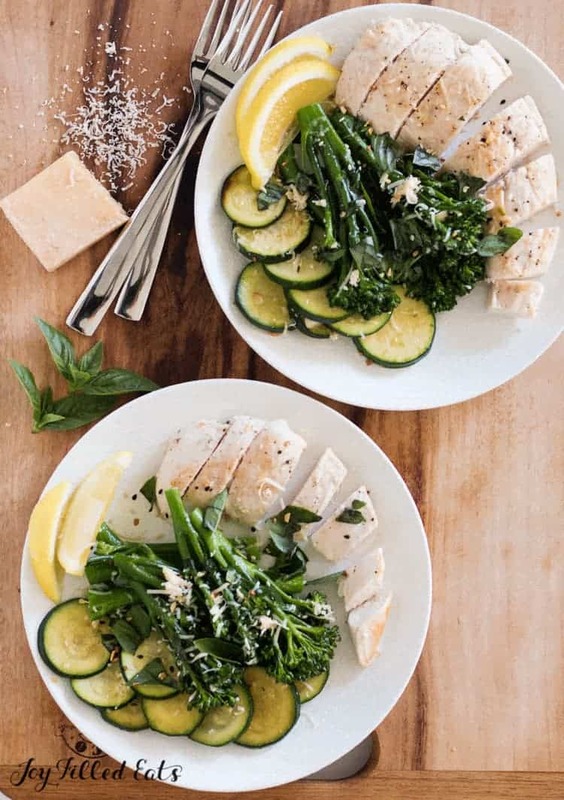 Put your chicken breast on a chopping board and, with your hand flat on top of it, use a sharp knife to slice into one side of the breast, starting at the thicker end and ending at the thin point. Usually, we keep the two halves attached by not cutting the whole way through, but for this recipe, we will cut the whole way through. 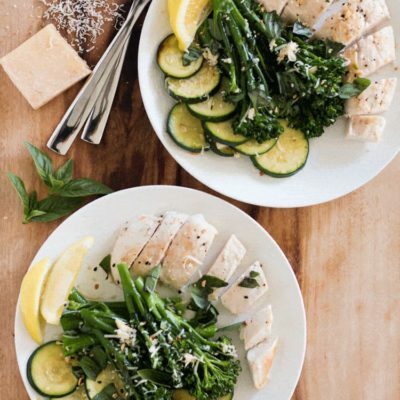 This is the PERFECT weeknight meal! It's ready before anyone asks what's for dinner!